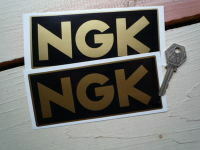 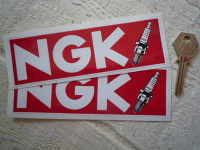 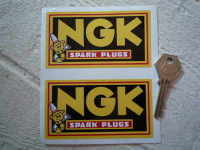 A pair of NGK, cut vinyl stickers. 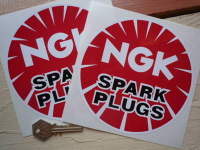 These stickers are made from cut vinyl, and have no background to them (the red in the picture is not part of the sticker), they are supplied with pre fitted application tape for quick and easy fitting. 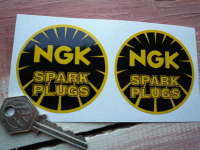 Available in either Gloss Black, Matt Black, Gold (as pictured), Gunmetal, Bright Red, Silver, or White. 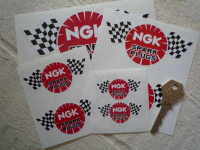 Each sticker measures approximately 95mm by 30mm. 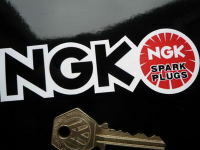 Please enquire if you are after other sizes of this sticker. 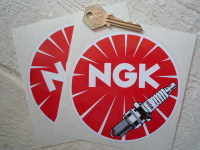 K&N Engineering Cut Vinyl Stickers. 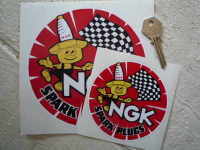 4" Pair. 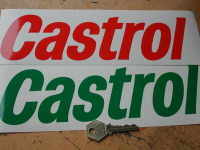 Honda Text Plain Cut Vinyl Stickers. 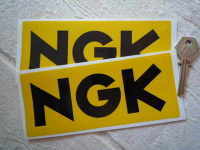 8" Pair.